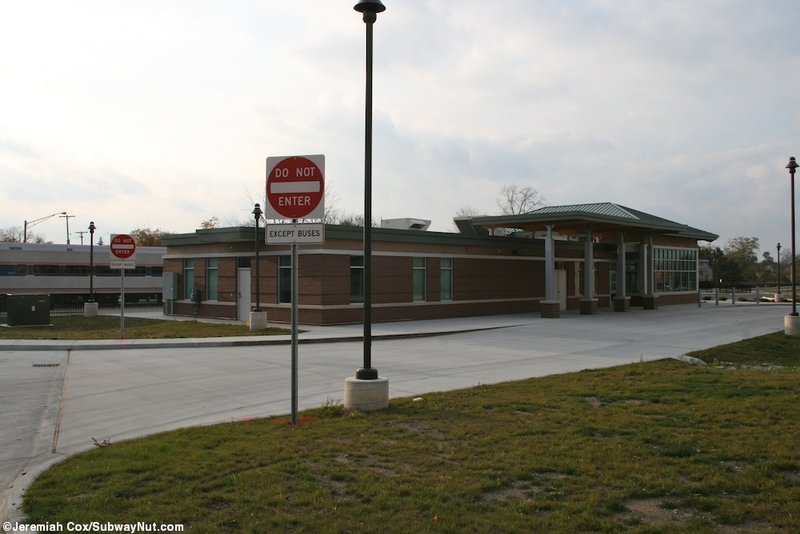 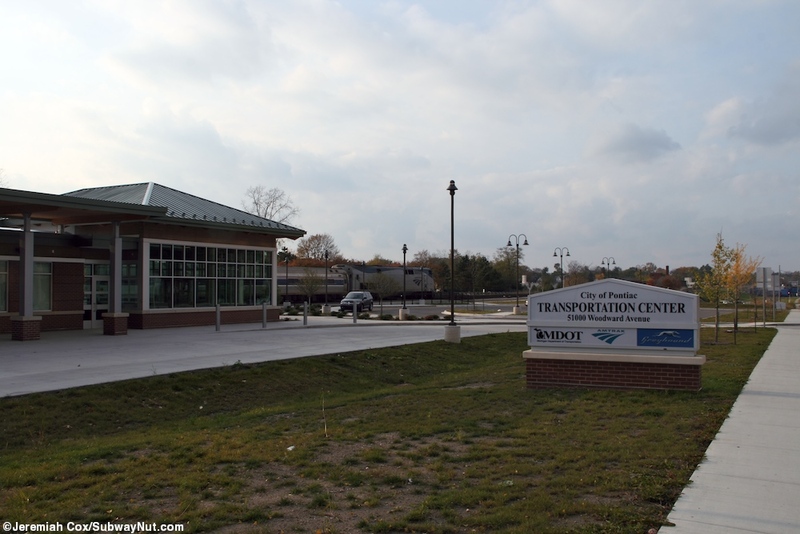 Pontiac is the terminus of the Wolverine Service and consists of a small modern Pontiac Transpotation Center depot building that is brand new, dedicated on August 8, 2011, after a 1983 transit center had to be demolished. 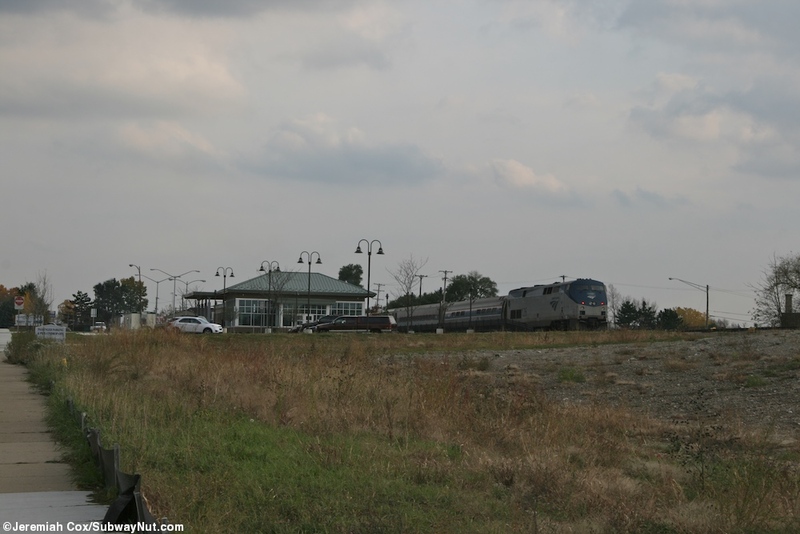 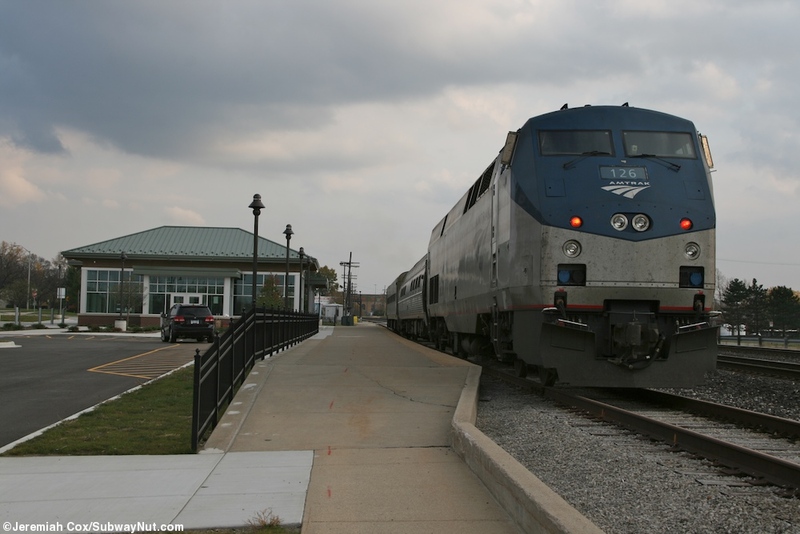 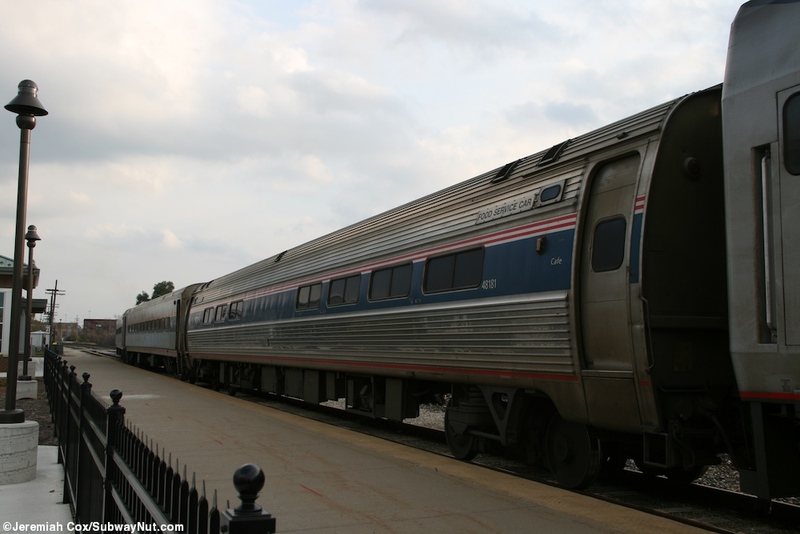 Amtrak service was first extended here from Detroit on May 5, 1994. 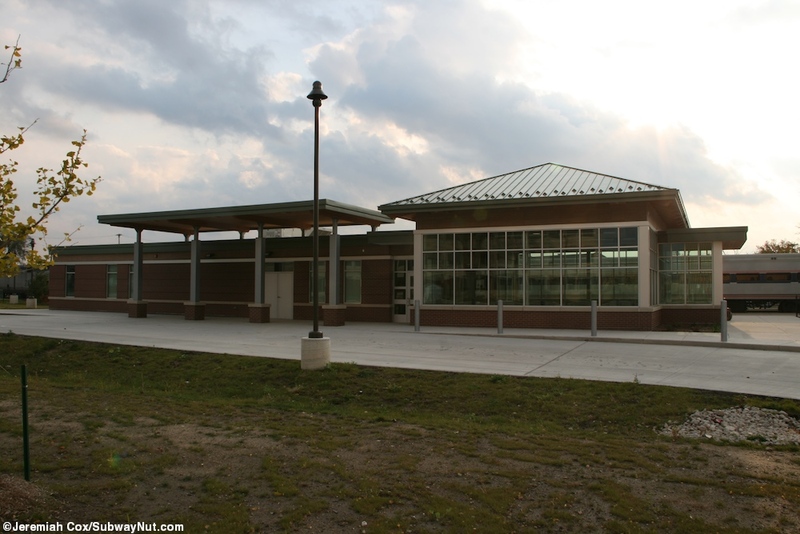 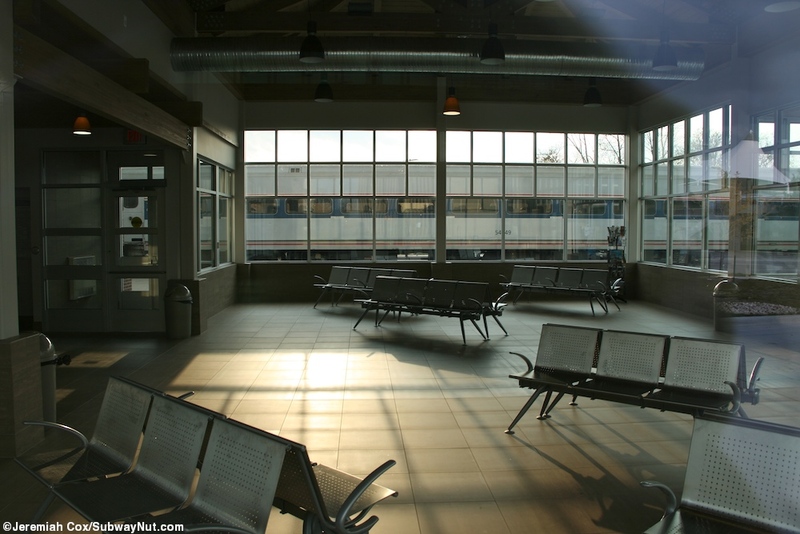 The center has some middle metal benches, restroomsand wrap around windows, as well as a Greyhound Ticket Counter open weekdays for just the one daily northbound to Flint and southbound to Detroit trips a day. 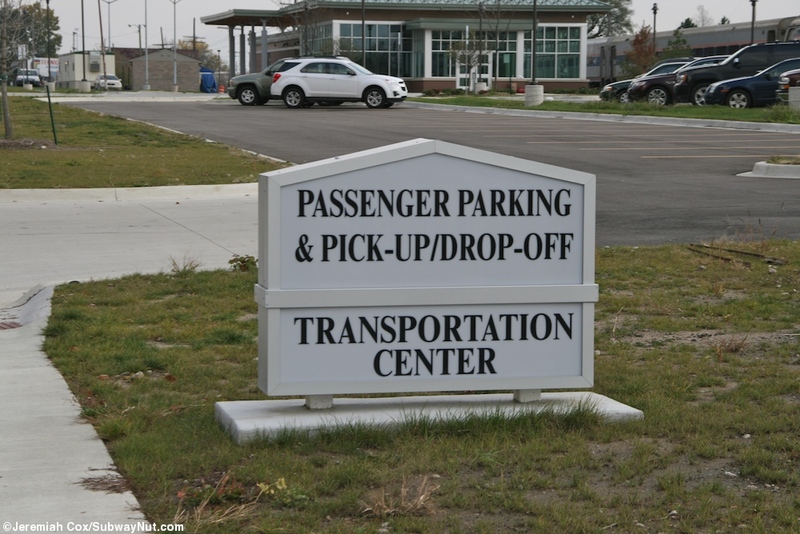 I unfortunately had to wait outside until it was time to board the Wolverine, the transit center is only open from 11:00am to 5:00pm weekdays meaning the passengers from just 1 out of 3 weekday Wolverine trips can take advantage of the waiting area. 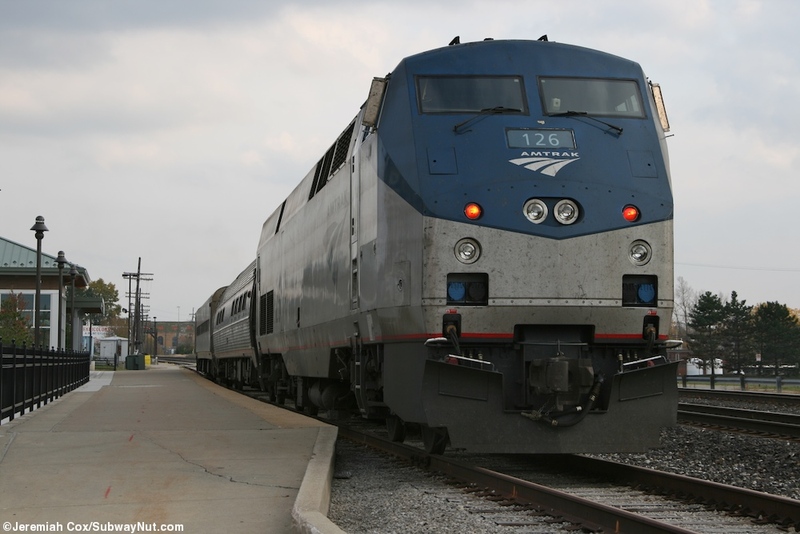 There is Quick-Trak machine inside so boarding passengers must get their tickets manually issued onboard. 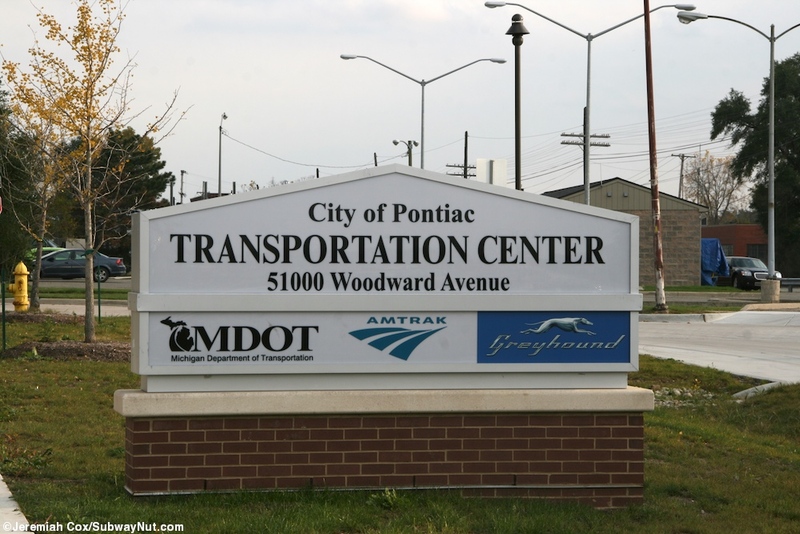 The signs for the Pontiac Transit Center at the couple of entrances to the parking lot that is north of the center along Woodward Avenue (the same street that the Detroit Station is above) have MDOT, Amtrak and Greyhounds logos on the entrance signs. 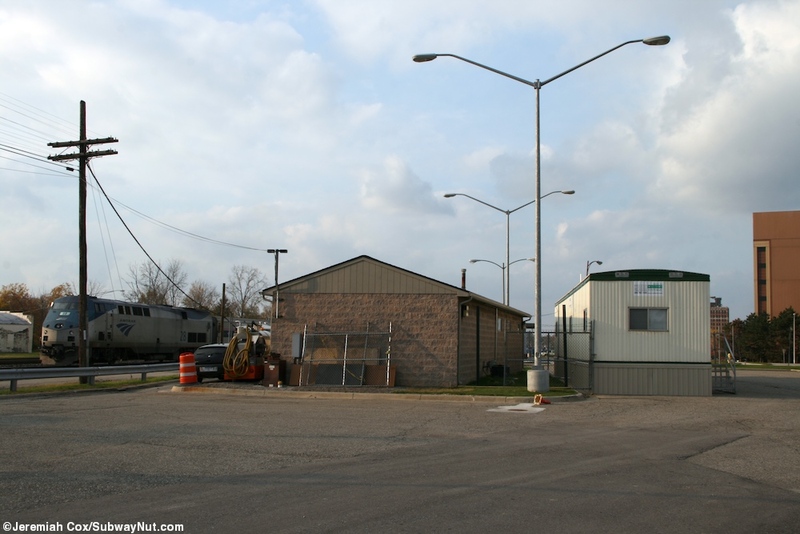 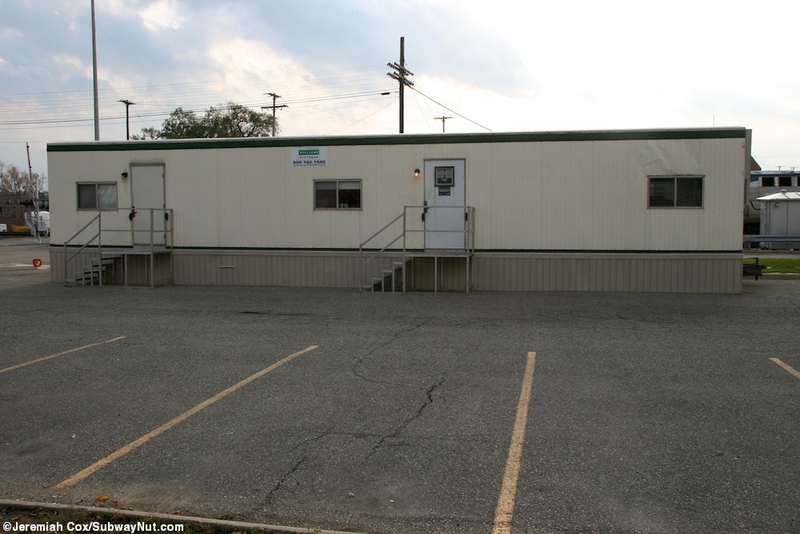 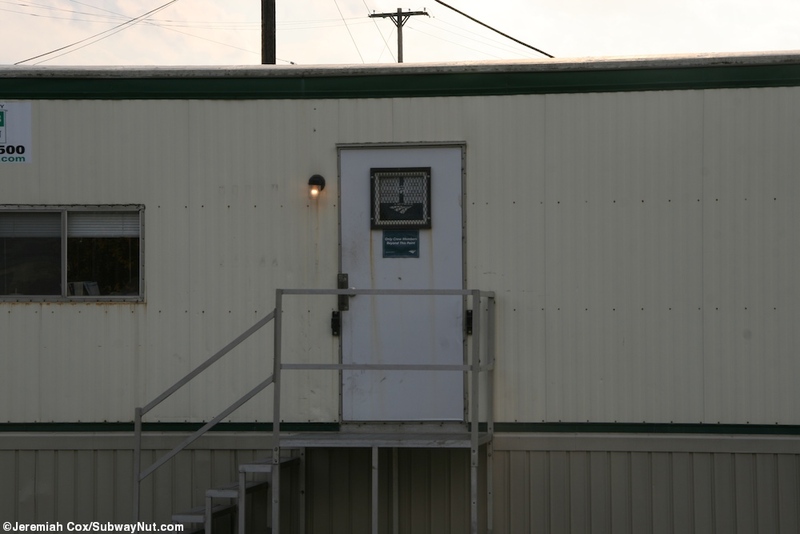 Amtrak does have offices at the station since the stop is a terminus and these are inside two portable trailers north of the transit center. 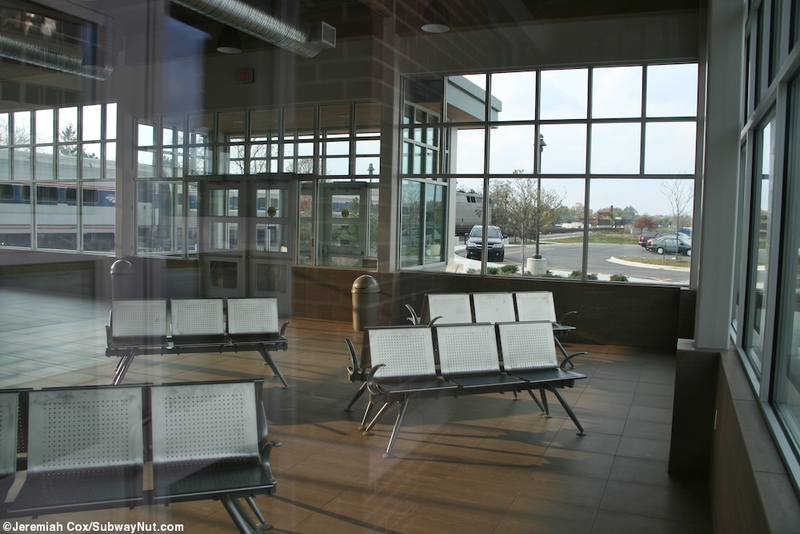 Directly outside the center is a wide buses only bus loop, and along the opposite side of it is a simple low-level train platform with a yellow tactile warning strip with a wheelchair lift tucked beneath an eve of the transit center, not in an enclosure. 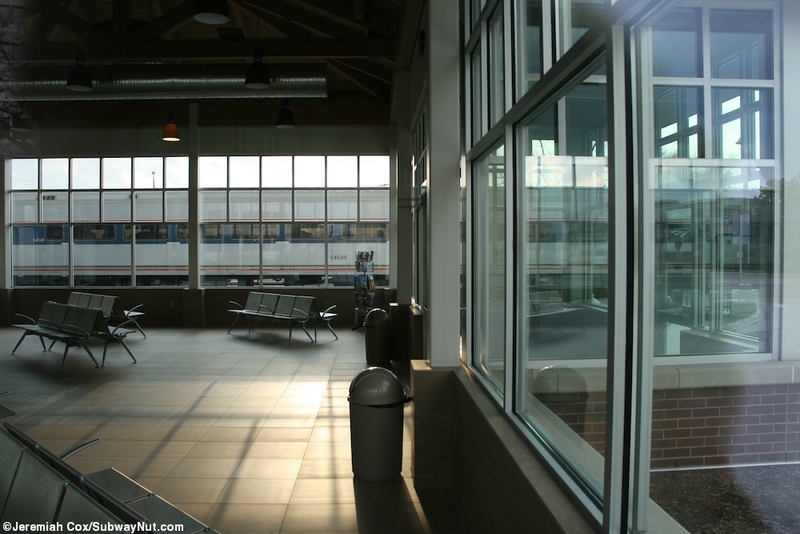 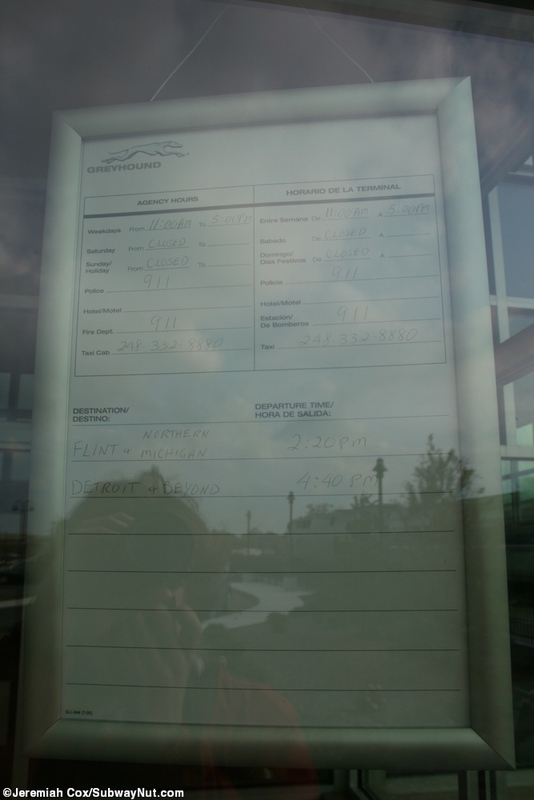 There is no Amtrak signage, just some silver cut out letters on the side of the transit center and a CN Pontiac sign on the switches at the station. 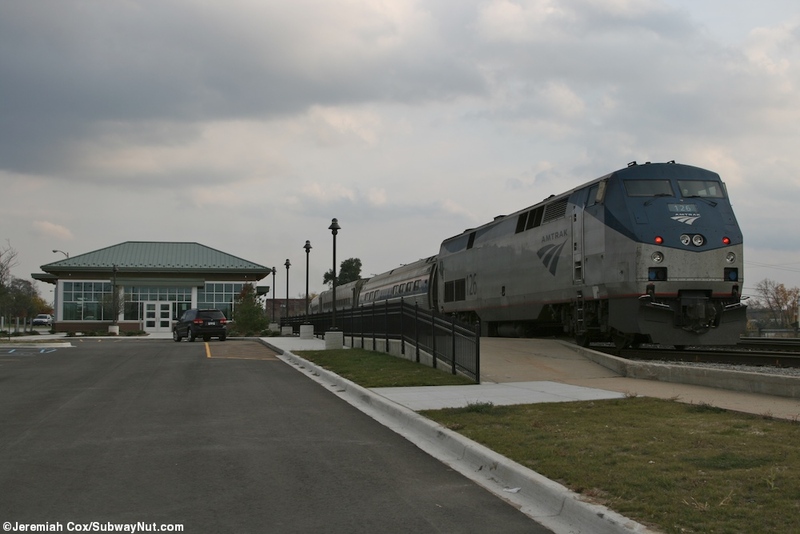 The platform's southern end is near a grade crossing with Wesson Street and just south of it, away from the station are some yellow stools for Amtrak employees I guess to have easier access up to their trains. 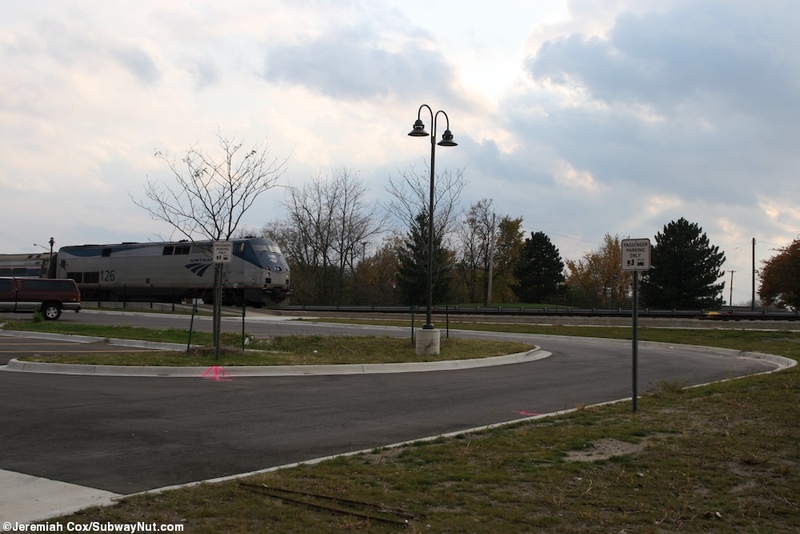 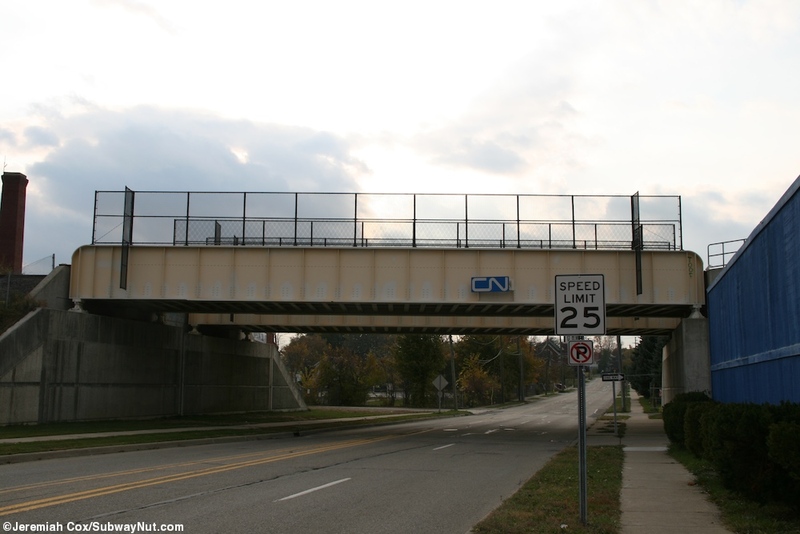 Towards the northern end of the platform (that ends just by ramping down to become a sidewalk, along with the low outside fence ending) starts sloping down for the underpass of Orchard Lake Road. 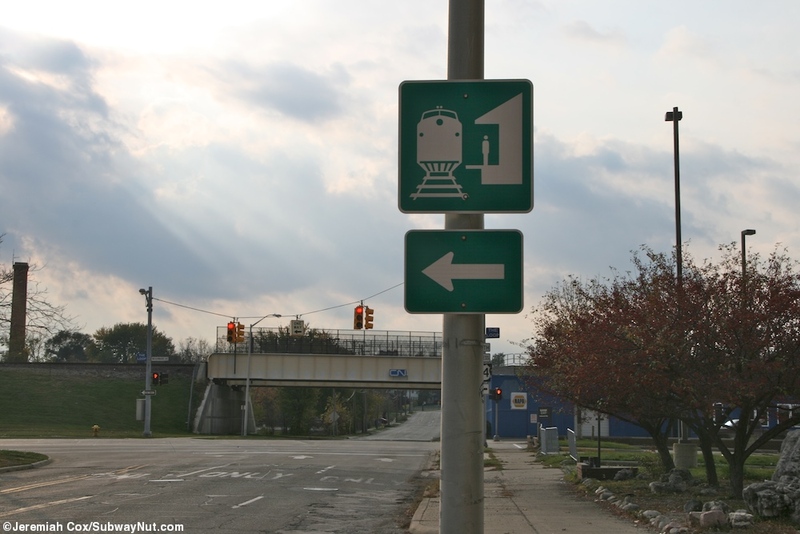 The stop is a block away from downtown Pontiac where I had trouble finding some take-out for my Amtrak trip back to Chicago.